SACRAMENTO, Calif. (CN) – Gatorade made misleading “anti-water statements” while pushing the benefits of its sports drinks in a video game marketed to teenagers, according to a settlement announced Thursday by California’s attorney general. Gatorade, a subsidiary of PepsiCo, violated state consumer-protection laws by disparaging water in a mobile app downloaded by more than 2 million users, said California Attorney General Xavier Becerra. The parties agreed to a $300,000 fine and Gatorade will also be banned from “negatively depicting water” in any form of advertising. “Making misleading statements is a violation of California law. But making misleading statements aimed at our children is beyond unlawful, it’s morally wrong and a betrayal of trust. It’s what causes consumers to lose faith in the products they buy,” Becerra said in a statement. The video game, which is no longer available, was downloaded over 2.3 million times, including 30,000 times in California. Celebrities and athletes like Justin Bieber, Mike Tyson and Troy Polamalu touted the game on social media and interviews. Most of the popular game’s players were aged 13 to 24, according to the complaint. A portion of Gatorade’s fine will go toward research on water consumption and nutritional health and the company will be prohibited from advertising in media where children under 12 makes up more than 35 percent of the audience. Gatorade did not immediately respond for a request for comment on the settlement. 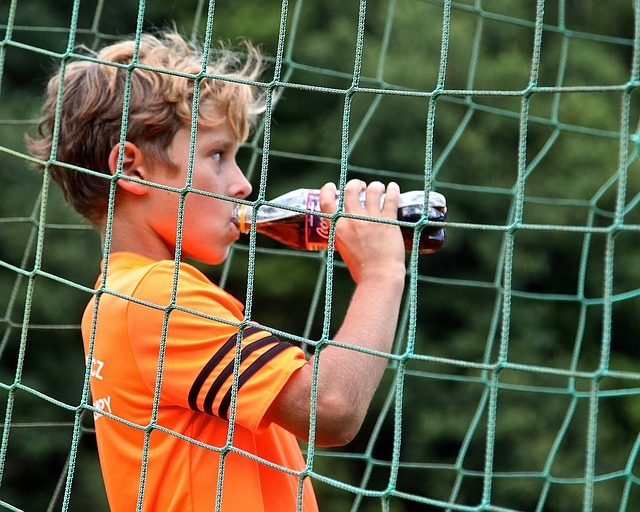 According to the American Heart Association, one 32-ounce sports drink can contain double the amount of recommended sugar for children and teenagers.